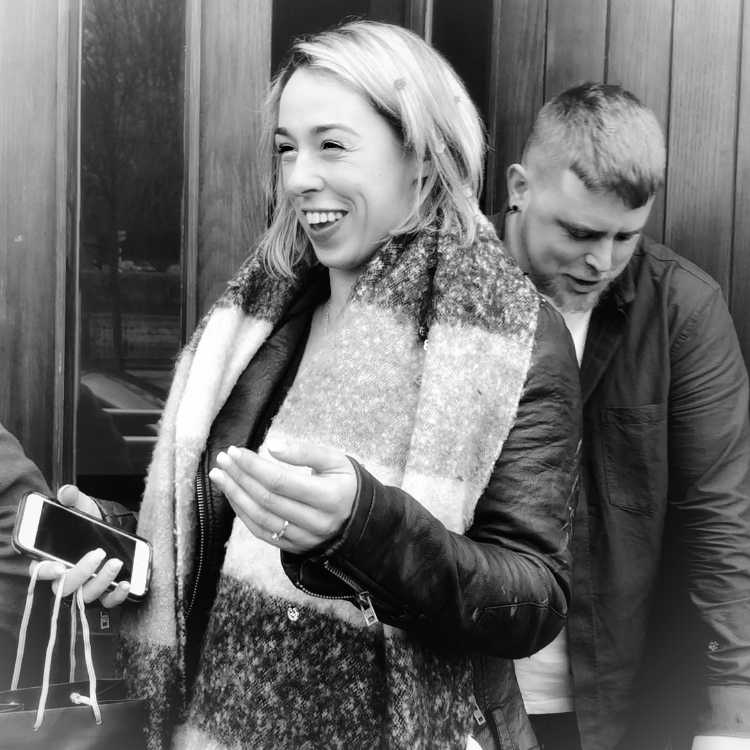 On Saturday 14th April, the world famous bells of St. Anne’s, Shandon in Cork rang in celebration for the engagement of Ian Johnston and Niamh Murray. 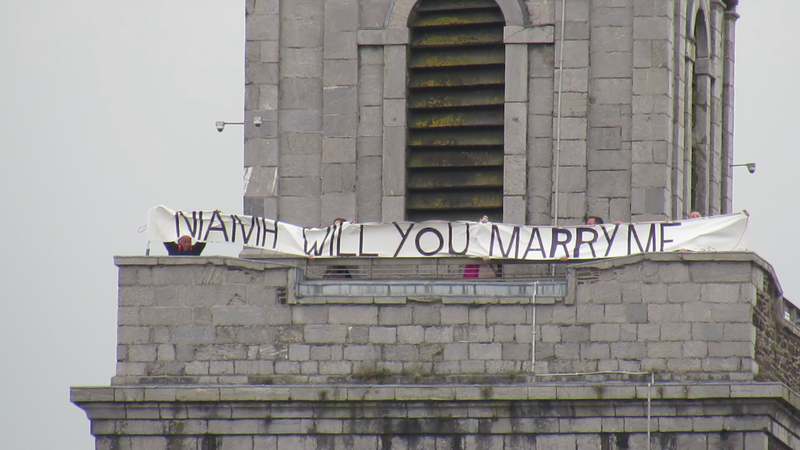 Ian had the very romantic idea of surprising his girlfriend with the words ‘Niamh, will you marry me?’ displayed on a banner held up by family and friends at the top of St. Anne’s Tower. The church is visible from the couple’s apartment in Lavitts Quay so at an agreed time Ian told Niamh to look over to the church with binoculars. Niamh read the sign and looking back to Ian saw him down on one knee with the ring that he has carried around waiting for a glorious sunny day to propose. He thankfully got fed up waiting for the sun and so, as of Saturday 14th April, the happy couple are engaged. It was such a lovely idea we were delighted to facilitate them. The family were so excited if a little windswept! All of us in the parish wish them every blessing and send them hearty congratulations! This entry was posted in Bells, Cork, Engagement, People from Cork. Bookmark the permalink.